A fun thing I get to do is visit a lot of open houses. A LOT. Last Wednesday I clocked 47 flights of stairs on open house day. And some days the refreshments are a pile of baby carrots, and other days they are fully catered, and on special days, with a foodtruck. This is the story of such a day. 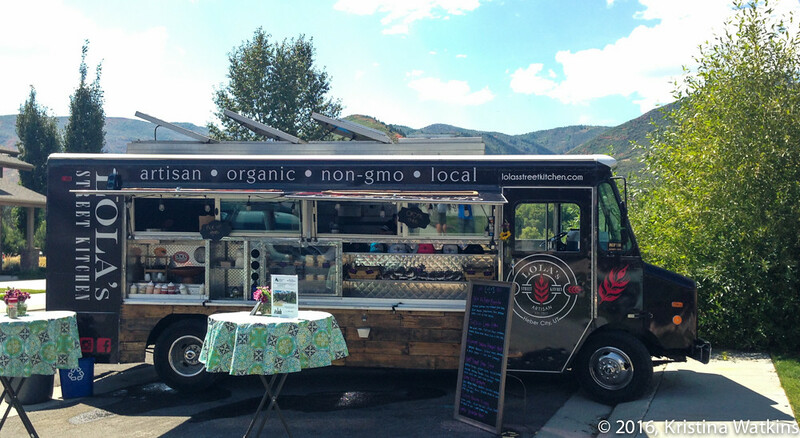 At the Lodges at Snake Creek open house (this is a cool project that is finishing completion in Midway, we’ll talk about this more later), they brought in Lola’s Street Kitchen to keep everybody sustained through the tour. 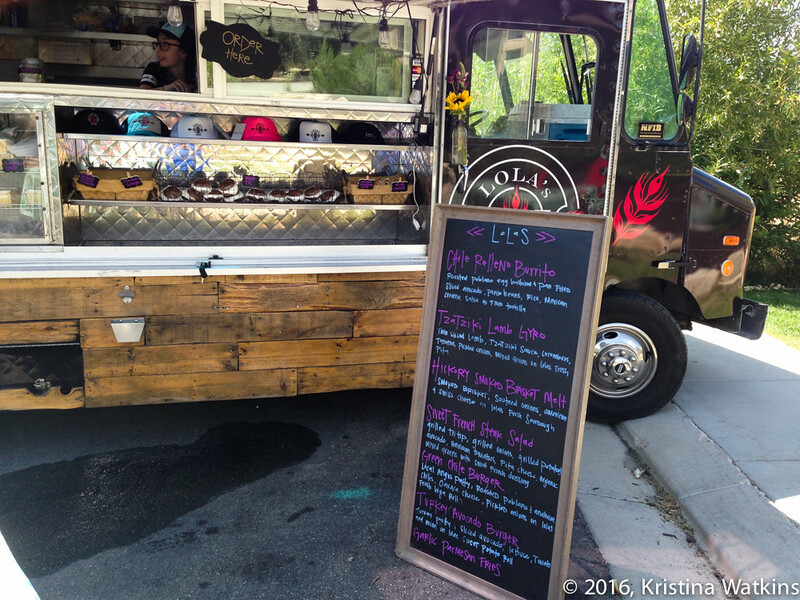 Lola’s is a local truck out of Heber, and you can usually find them in the Dottie’s Kolaches parking lot or the Day’s Market parking lot (check their social media for updates). Despite the tendency of food trucks to cave into overly stereotypical and done-to-death recipes*, I am still a sucker for them. Even though this menu is all over the place, the responses from my fellow diners was enthusiastic. Also please note the wood paneling on the truck as well as the bottle opener and cap catcher for all the fancy zesty beverages they sold. I stuck with the Chile Relleno Burrito. It came with fries, which were fine. 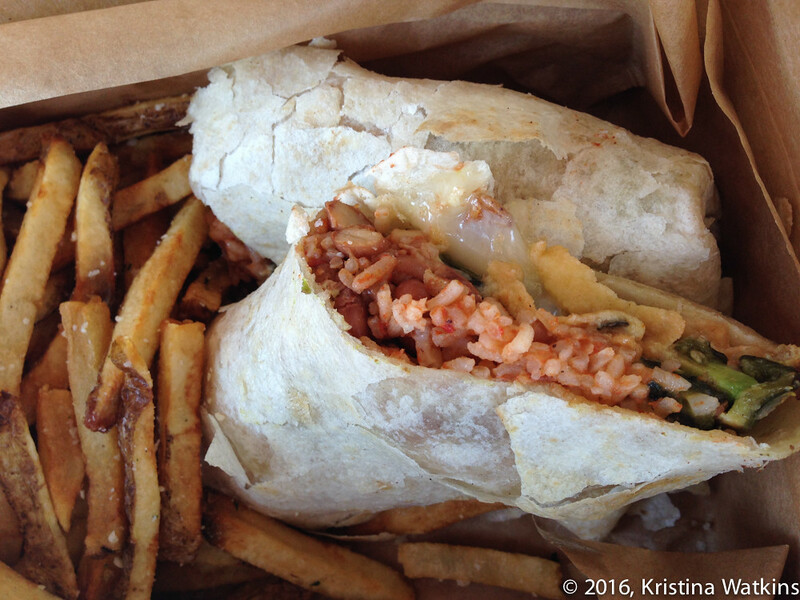 The burrito itself was good, pinto beans, Spanish rice, avocado, and an actual fried chile relleno all rolled up in a flour tortilla and lightly griddled. I ate some right away and the rest about an hour later because that is my life. The verdict? My only complaint was that the flour tortilla was a bit of a drag. Even hot and fresh straight out of the box it seemed a little stale or at least dry. See the way it’s flaking off in the picture? Of course I’m not expecting a food truck to fry fresh tortillas before every burrito but I think maybe this time, this burrito, didn’t have to be griddled again once it was made. But that’s the only comment and it wouldn’t stop me from getting it again, so. Overall a win. *Do not put rosemary or garlic or parmesan cheese on my fries ffs just cook them properly and add salt. Even drunk you don’t need none of that. Good fries stand alone.